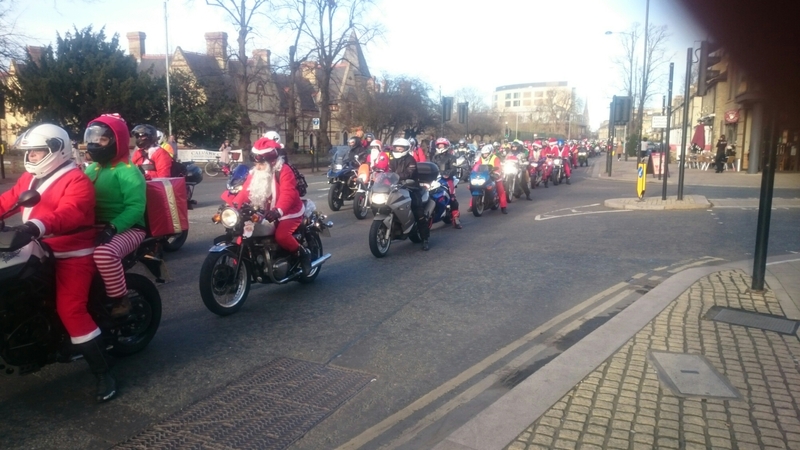 Today whilst on a quick break from my ‘regular’ job I happened to be on my way to a local shop when I saw the Cambridge Christmas Toy Run. I have uploaded the film in two parts on to my Facebook page. 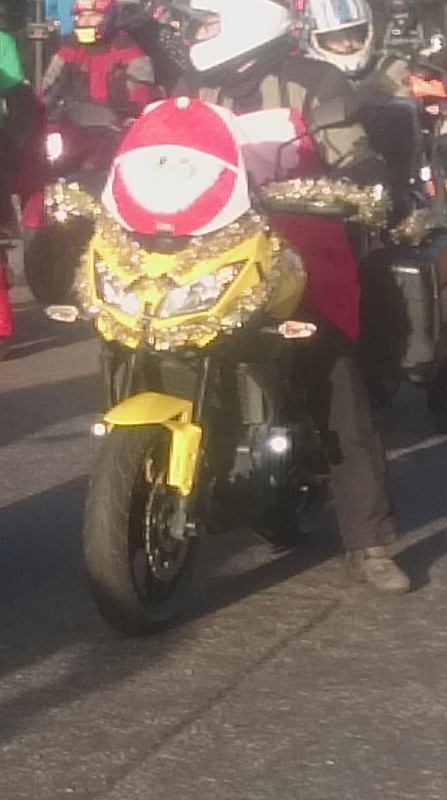 Highlights include the muppets Animal helmet a bike dressed as a sled and about 200 santa costumes. Was so great to see this and see all sorts of bikers and bikes present as well as experience and age. These people quite literally drove thier bikes to Addenbrookes, although I have no idea where they would have parked, and then went round the kids wards spreading a bit of Christmas cheer to those who need it! As you can see in the video people were applauding them for taking the time out to do such a nice thing. Props to those guys and girls and a merry Christmas to all.